Review the new Cub Scout program rank requirements. Determine what advancements each Scout will need for their next rank. Recognize those Scouts who advance. Decide what activities the Scouts will do. Decide what camping opportunities to participate in. Plan to do at least one service project for your charter partner & partner school. Complete the budget planning worksheet to find the total cost of your program and how to fund it. Determine your expenses and income. Determine fundraising needed to cover expenses. (Be sure to take in account recognition costs associated with the new Cub Scout program. Plan to recruit for a 5% increase in Scout membership. Plan to recruit a Pack Committee & Den Leaders. 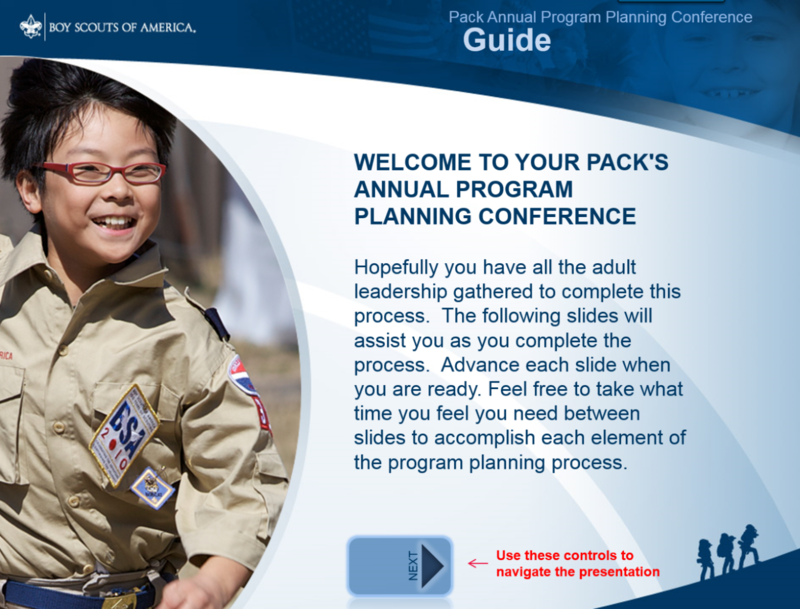 Communicate your plan to your Scout families. These tools should make it easier to have up-to-date newsletters and calendars ready when you need them.